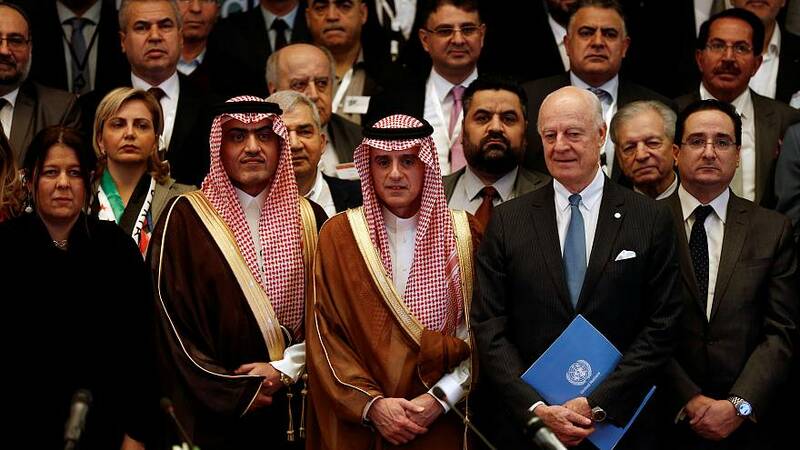 Syria’s main opposition has again ruled out a role for President Bashar al-Assad in any UN-backed peace deal. The alliance made clear its stance at a meeting in the Saudi capital, Riyadh ahead of the next round of peace talks in Geneva. There had been widespread speculation it may soften its stance because of Assad’s renewed strength on the battlefied. The group also attacked Iran’s military presence in Syria and called on Shi’ite militias backed by Tehran to leave the country. “The participants stressed (the transistion) cannot happen without the departure of President Assad and his regime at the start of the interim period,” opposition groups said in a communique at the end of the gathering. The opposition has long been suspicious of the parallel diplomatic track pushed by Moscow. Russian President Vladimir Putin has called for a congress of the Syrian government and opposition to draw up a framework for the future structure of the Syrian state, adopt a new constitution and hold elections under UN supervision. However, since Russia joined the war on behalf of Assad’s government, it has become increasingly clear that Assad’s opponents have no path to victory on the battlefield. The opposition also blamed the Syrian government for the lack of progress in previous talks in Geneva, citing the bombing of civilian areas, the siege of rebel held areas and the detention of tens of thousands of dissidents.